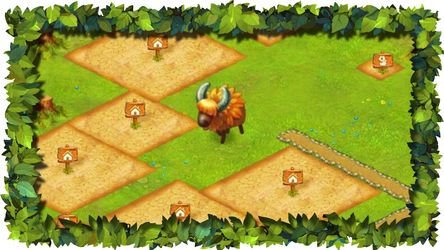 You have requested help with our app "Charm Farm. Mobile" and we are ready to help you! Where can I find new animals? 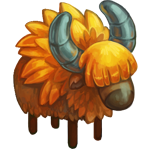 You can find animals at the Shop in the "Animals" tab. I can't buy new animal. What should I do? You need to build a Feeder for each type of animals or they'll run away and be lost in the forest. I can't find an animal on my clearing. Where is it? Sometimes animals daydream and wander far away from their Feeder. You can hide buildings by using a button at the right bottom corner of the screen. All your houses will be hidden and you'll see your animals. You can move Feeders just like any other buildings. Animals will find their Feeder and come running to it. My animal is lying on the grass and can't get up. What's going on? Don’t worry if you see one of your animals lying on the grass, unable to stand up. It just means that they ate too much! And you can collect some elixirs from them. There is an icon with a crossed spoon and fork above one of my animals. What is this? 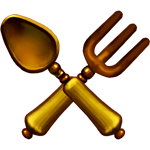 If you see an icon with crossed fork and spoon above one of your animals — it means that it is time to feed them. Bullies don't want to eat Food for Flypigs. Why so? Each type of animals has it's preference when it comes to food. That's why we need different types of food for each one of them. 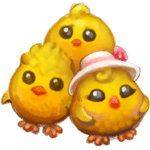 Make sure that you've upgraded the Food factory and unlocked food production for this type of animal when you buy an animal of a new type. Why do I need Shmoos? 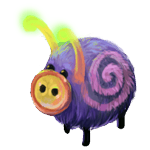 Shmoos are the workers of your settlement. 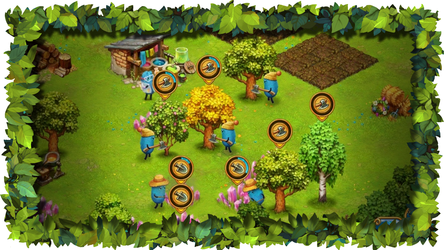 They are here to produce items or plant seeds. What does this counter at the top of the screen with a Shmoo icon means? This counter shows how many Shmoos are busy with work and how many are free at the moment. For example, if you have 5 Shmoos and 2 of them are busy with production right now, your counter will show 3/5 Shmoos. I've got a "Play with Shmoo" quest. What should I do? If you tap a free Shmoo, they'll know that you want to play. Try this out, it's so much fun! I assigned Shmoo on Production but then I changed my mind. Can I cancel this assignment? Shmoos already assigned to production or watering plants can't be called back. They are sooo into this job, so they can't be distracted by anything. 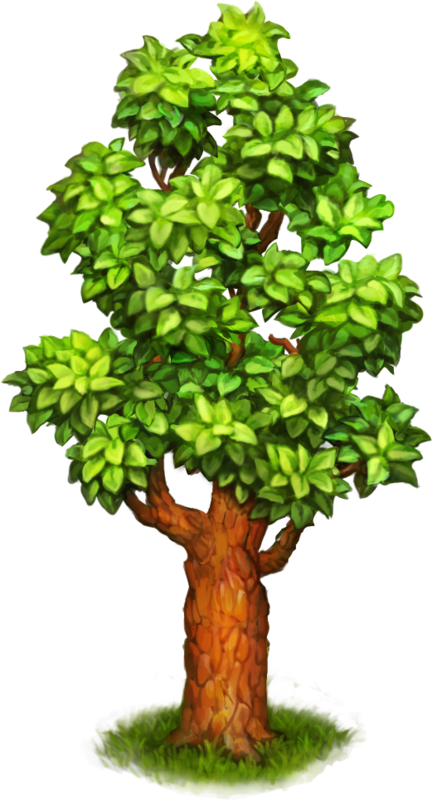 But if you've sent your Shmoo to cut trees or to get rid of stones or weeds, you can cancel it if you tap on the tree, stone or weed once more before Shmoo reaches it. Can I make a assignment queue for Shmoo? You can assign your Shmoos to production or to cleaning as many times as you want, even if they are all busy. The first free Shmoo will run to do the assigned task. How can I get one more Shmoo? You can get a new Shmoo by building a house for him. You'll have one more Shmoo on your clearing after building is complete. Where can I find Shmoos houses? 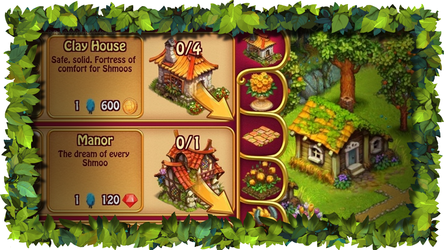 You can find Shmoo's houses in the "Buildings" tab in the Shop or while exploring closed territories. The more Experience you get, the faster your in-game progress goes. 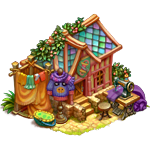 Getting experience means you can level up, which allows you to buy new items in the Shop, get new quests, unlock mysterious objects on closed territories and much, much more. How do I get more Experience? 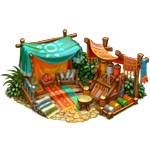 You can get Experience by completing Market orders, sending Airship, completing quests and Daily quests. 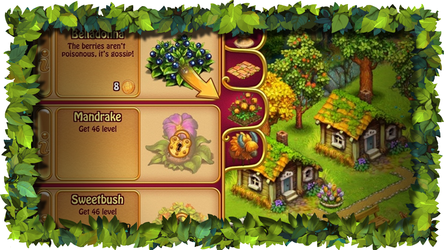 Also you can get a small amount for collecting income from production, plants and animals. 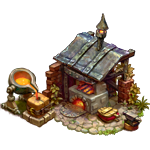 Gold is a very valuable resource, which you need to buy buildings and animals, sow plants, cast spells, upgrade buildings and for many other things. 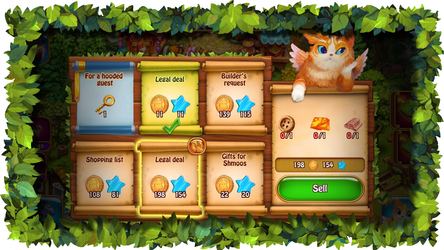 You can get Gold for completing Market orders, sending the Airship, completing quests and Daily quests and for sending Shmoos to the Camp. Rubies can help you out in difficult situations! 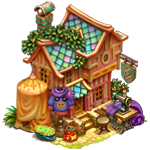 With Rubies you can buy the resources you need, beautiful decorations, houses for Shmoos and so much more! 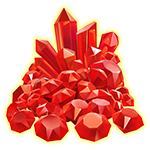 Also you can use Rubies to speed up the building or production process. 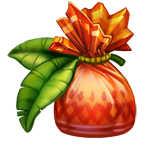 There are a lot of Rubies in the Currency shop. Players who get in-game achievments are rewarded with them, too. 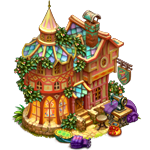 Also you can get yourself some Rubies for upgrading buildings to level 4 and winning a Lottery. Don't miss out on our special offers and sales, they can give you a chance to buy Rubies for a better price! 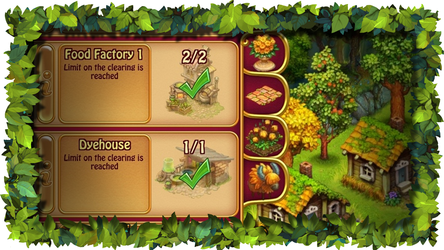 Production is a special building, where you can create various resources. How do I start Production? 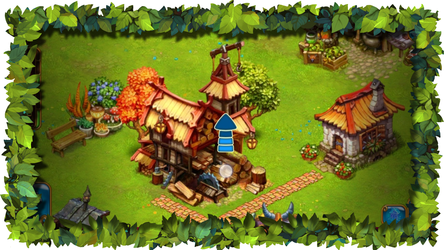 To start the production you need to tap on a Production building and then move there the resource that you want to create. I moved a resource, but then this window popped up, where they're offering me to buy something. If you don't have enough resources, you can always buy the required amount. Where can I check how this resource is made? To see a resource recipe tap on Production building and then tap and hold the resource icon. You'll get a hint, where you can find a list of required components with the necessary amount of each. 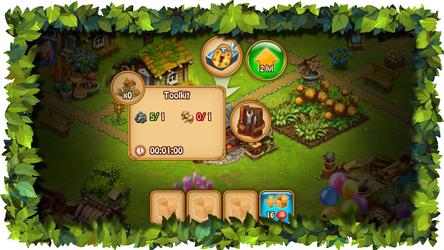 Moreover, at the top of the hint you'll see the amount of resources that you already have, and at the bottom — estimated production time. I tap on Production building, but there is an icon with a lock on it. What is it? If you see this icon with a lock, it means that you still have locked resources in this Production building. 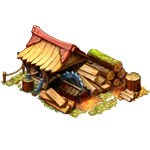 To create some new resources you need to upgrade Production buildings. 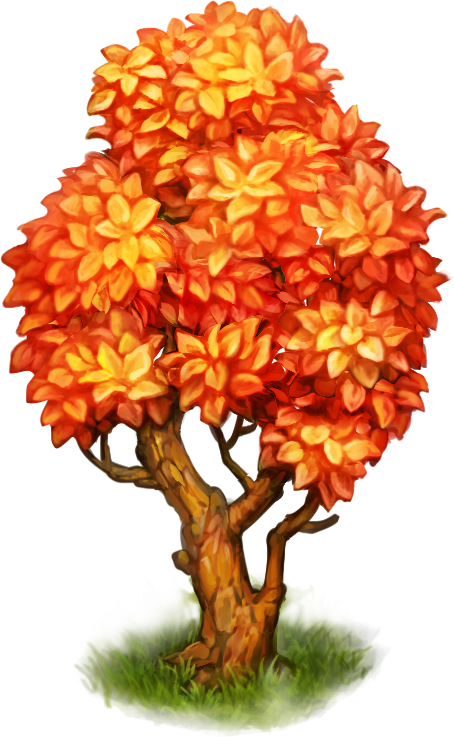 If you tap and hold this icon, you'll see a hint with the requirements for unlocking this resource. What does this blue square button in Production window means? When you start production of a resource, it moves to the production queue. There is a limit of resources that can be put in a queue, but you can expand it — just tap the icon and buy additional production slots. Why do I need to upgrade Production? 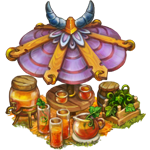 With each Production building upgrade you unlock a new production resource that later can be sold at the Market or sent by the Airship! Production house upgrade button is gray. What does it mean? To upgrade some productions you'll need to have a certain level. 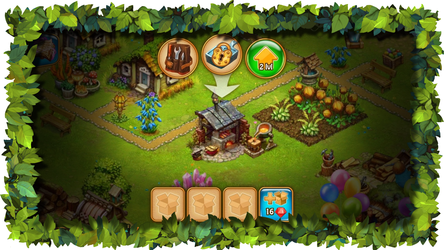 If you tap this grey button, you'll see a hint with the level required for upgrading this building. 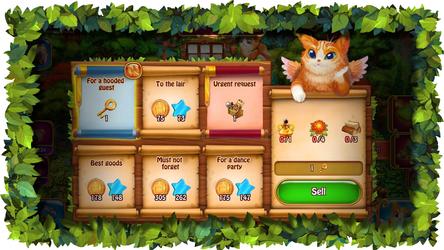 The Market is a place where you can sell resources and get Gold and Experience in return. Cat is our courier. He delivers the wares that Shmoos make all around the forest, and sells them for the best price. 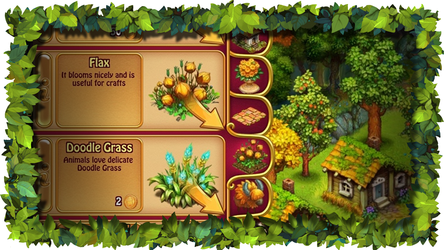 An order is a list of resources that you'll need to create to get this order's reward. How do I check Order contents? To see an Order's content you just need to tap on its scroll. The Order scroll became green. What does this mean? 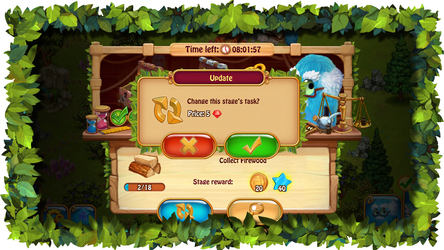 A green scroll means that you have all required resources for completing this Order. What happens when I complete the Order? When you complete an Order, resources are removed from your Storage. In exchange you'll get the Gold and Experience that were promised as a reward. After I've completed one Order, Cat flew off and I can't do anything with other Orders. If you completed an Order and Cat is gone — do not worry, he's very fast and will be back in 30 seconds so you'll be able to continue. Why are there Orders with the same contents but with a different reward at the Market? 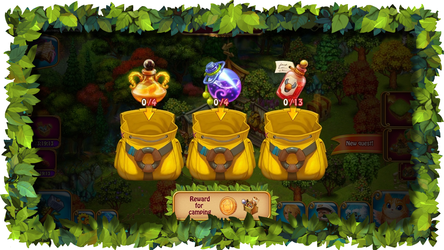 Just like in daily life, the Magic Forest's inhabitants offer you different reward for the same ware. You can complete both Orders or delete the one with a lower reward. Take note that some rewards are just seem to be different but in fact they are equal. For example, in one Order the Experience reward is higher, in the other — Gold and vice versa. I need a resource for an Order, but I don't know where I can get it. To get some additional info about required resources you need to tap and hold the Order's icon. 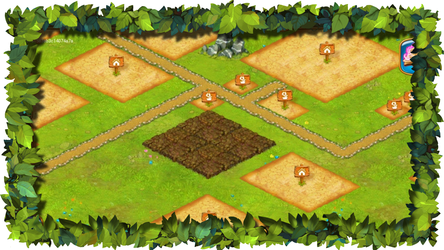 You'll see a hint with the name of the resource and the Production building where you can create it. 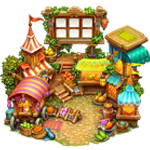 If you tap it quickly, the Market window will close and you'll see an arrow, pointing in the direction of Production building where you can create the necessary resource. Can I delete an Order if I don't like it? Of course, if you don't like an Order, you can delete it. To do so, select the Order's scroll and tap the red button at its top right corner. This Order will be deleted and a new one will appear in one minute. 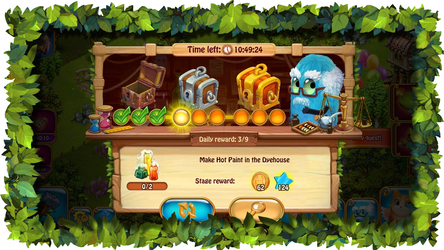 By the way, you can speed up the appearance of Orders with Rubies. What are these Special Orders? For completing Special Orders you can get special rewards like Keys for opening chests and special resources for upgrading buildings. 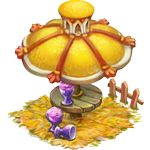 The Airship is a special building, which becomes available after the player reaches level 18. With the Airship you can send resources from production in exchange for special resources, needed to unlock new territories, Gold and Experience. How do I unlock the Airship? 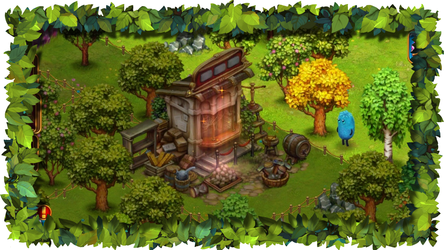 The Airship arrives at the Cloud Quay, which can be found in the forest. To unlock the Airship you need to find the Cloud Quay and repair it. How do I repair the Cloud Quay? 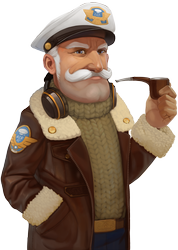 The brave Airship Captain will help you unlock the Cloud Quay. He'll appear in the clearing and give you a special quest. Why does the Airship have only three available boxes at the beginning? At the beginning you get only one row of three boxes in the Airship. In time you'll unlock the second and third rows. There are nine boxes in total. Why do all boxes in a row are needed to be fill with the same resource? 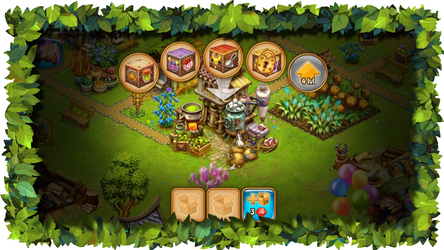 Our Captain specializes in wholesale shipments from the Magic Forest, that's why he needs a lot of the same resource. How do I load a box on the Airship? 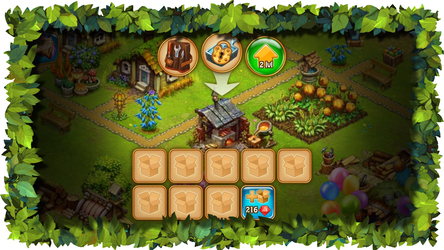 To complete an Airship Order, tap on a box and then on the "Load a box" button. 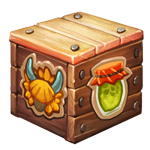 The Captain will take the resources from your Storage and safely put them in Airship boxes. Do I get something for loading a box on the Airship? 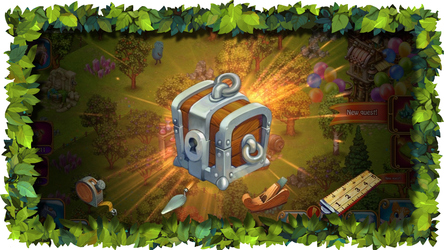 For loading a box you'll get some Gold and Experience, as a personal reward from Captain. The main reward is still for sending a full Airship. There is a timer in the Airship window. What does it mean? The timer shows you how much time is left before the Airship will take off. Even if I didn't manage to load up boxes with wares, will the Airship still take off?Even if I didn't manage to load up boxes with wares, will the Airship still take off? The Captain always sticks to the schedule, so the Airship will take off even if you didn't manage to load up all boxes. What happens if I don't load up wares on the Airship and it takes off? If you don’t load up all boxes on Airship you won't get a reward for full load up. You can't take back already loaded resources. If I load the Airship up before timer goes off will I get some bonus? If you load up all boxes on the Airship before time is up you'll get an extra bonus of Gold and Experience. 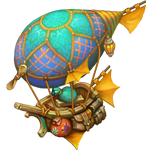 The quicker the full Airship takes off — the bigger the extra reward! When will the Airship be back after take off? 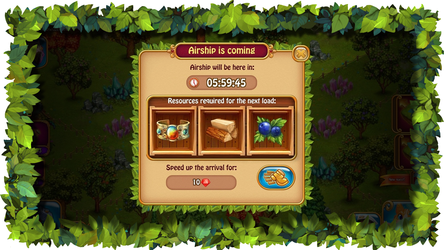 After the airship leaves it takes 6 hours before the arrival of the next Airship. Can I know beforehand what resources will be needed in the Airship's next shipment? I want to be ready. Fortunately, our Captain is always one step ahead, and he leaves you a note with a list of resources for the next shipment before takeoff. You can check it by tapping the Cloud Quay. 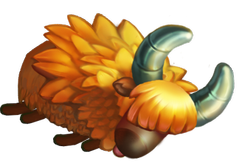 I want the Airship to come back faster. Can I do that? If you tap the Cloud Quay, you can speed up the arrival of the Airship with Rubies. 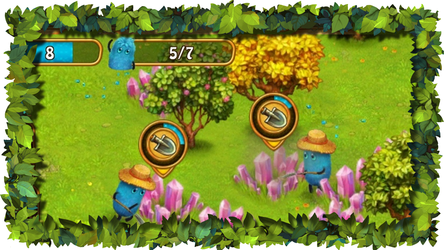 Daily quests are available after the player reaches level 6 and installs a Mine on the location. 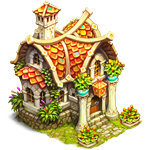 These are special quests, and by completing them you'll get resources for upgrading buildings. How do I unlock Daily quests? 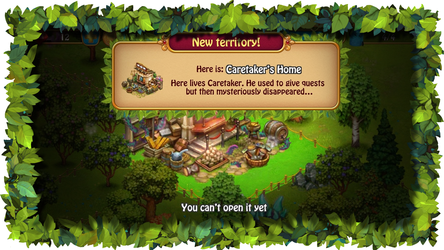 To unlock Daily quests you'll need to repair Caretaker's house, which is located on a closed territory. How do I rebuild this Caretaker's house? When time is right, you'll get a quest to find Caretaker and repair his house. After that Daily Quests will become available. What's the meaning of these circles in Daily quests window? One circle — one Stage, also called Daily quest. After completion of a Stage it'll become green. How many Stages I need to complete to get a reward from the Chest? To get a reward you'll need to complete at least 3 Stages. After completing the 3rd Stage you can open a chest and get special resources. Where can I see the reward for completing 3 Stages? 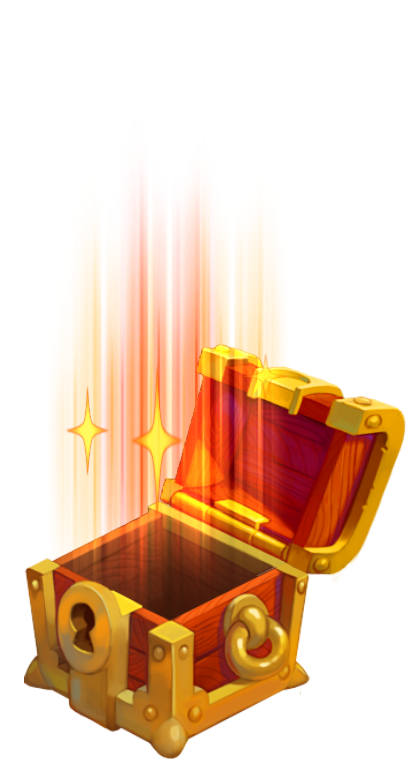 The reward is unknown until the chest is opened. How many Stages can I complete in 24 hours? In 24 hours you can complete 3 Stages 3 times, which means 9 Stages in total. 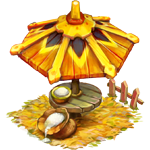 For each 3 Stages you'll get special resources as an extra reward. How many rewards can I get for completion of Stages? 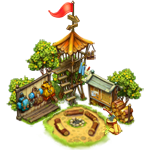 For the first 3 Stages you'll get 2 random special resources for upgrading buildings. If you complete 6 Stages in 24 hours, you'll get 4 special resources more. If you complete all 9 Stages you'll get 6 more special resources. It makes 12 special resources in total. Can I change the task if I don't like it? You can change a task if you don’t like it — just tap the button with arrows at the bottom part of the Daily quests window. Do I get something for completing Daily quest's Stages? 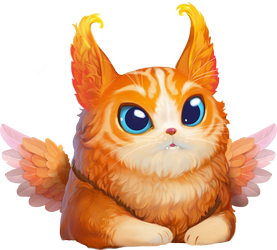 You'll get Gold and Experience for completing each Stage of the Daily quest. When do these Daily quests update? 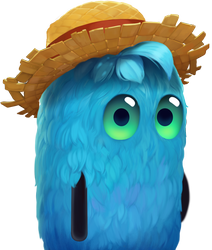 Daily quests start over from the beginning of each day when Shmoos are getting up even if you are offline. I've completed 4 Stages of Daily quest. What's my reward? If you don’t complete all three Stages in a group, you'll get a reward only for the previous full group completion. 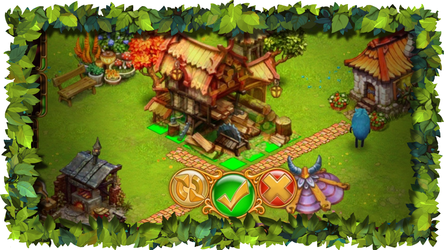 Quests are tasks from clearing inhabitants, and they need your help with these! Why do I need to complete Quests? 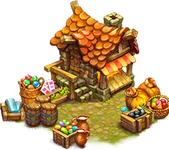 For completing Quests you'll get Gold and Experience, and some Quests will open you a way to objects on closed territories or some special wares in the Shop. 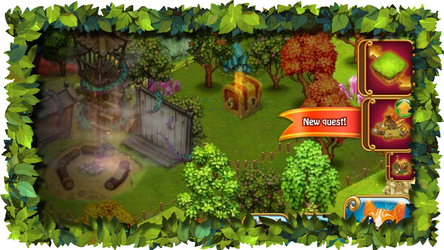 Moreover, Quests can let you know what new objects you can build, plant, produce or buy in the Magic Forest. Quests usually appear after completing the previous one and when the player levels up. Quest can have one, two or three stages. For quest completion you'll need to complete all stages. What does this button with a magnifying glass on it means? 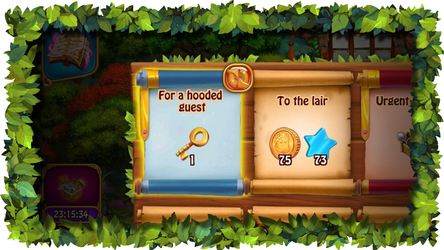 Feel free to tap the button with a magnifying glass on it if you're not sure how to complete this quest (where to create this resource or how to find a building in the Shop). It will show you a hint and tell you what to do next. 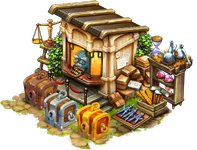 The Storage is a special building, where all your resources are stored. How do I check resources that I have in the Storage? 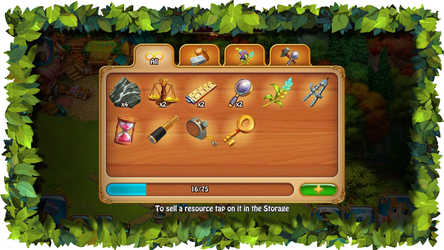 To see what resources you already have there, tap the "Storage" building. It'll open a special window, where you can find all resources you have right now. There is a scale with some counter in the Storage window. What does this mean? The Storage has a limit of slots in it. All resources that you put there take some space. The fullness scale's counter shows you the total amount of stored resources. There are some tabs in the Storage window. What are these? All resources in the Storage are sorted and put on different tabs for better navigation. 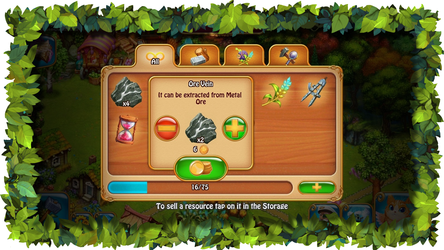 You can find all your resources on first tab, while resources produced by buildings are on the second. On the third tab you can find resources that had been collected from plants and animals. 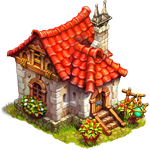 There are special resources for upgrading buildings and unlocking new territories on the forth tab. If you tap and hold a Storage tab, a hint will appear, explaining what category of resources this tab consists of. How can I add some slots in my Storage? You can expand the amount of slots in your tabs by upgrading your Storage. With each upgrade your Storage will become bigger and you'll get more slots to store things. My Storage is full and I don't have enough resources to upgrade it. What should I do? If the Storage is full with resources, you can sell some to free a bit of space. 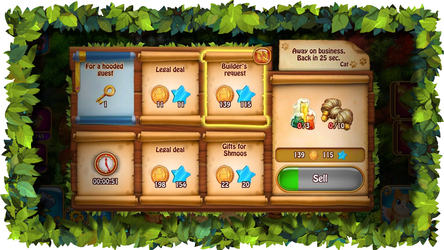 In order to do so, tap the resource you want to sell, choose the right amount in a pop-up window and confirm the deal. However, selling resources from the Storage is less profitable, than selling them at the Market. Why do I need the Shop? 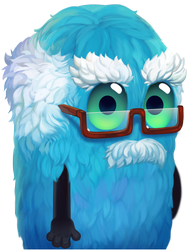 The Shop is a place with all sorts of wares that you may need to make your Shmoo village the very best! Why are there some different tabs? All wares are sorted by categories for better navigation, so you can find everything you need. It has the following categories: Buildings, Decorations, Roads and Fences, Plants and Garden Beds and last, but not least — Animals. Why can't I buy some things in the Shop? 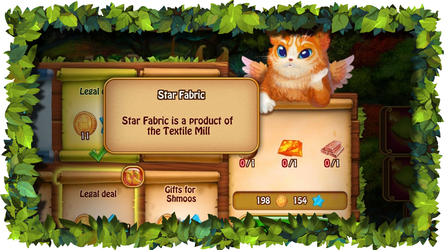 Some items can be bought only after a certain level. What does "Limit on the clearing is reached" means? Some items have buying limits. If there is a sign "Limit on the clearing is reached" near the item icon, it means that you have a maximum amount of this item on your clearing. If you complete in-game tasks, you will receive Achievements. 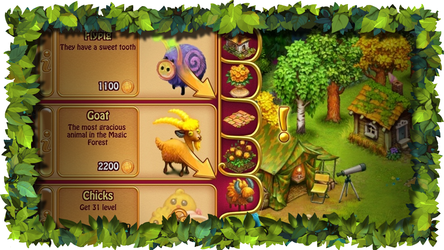 These are special marks for your good deeds in the Magic Forest. 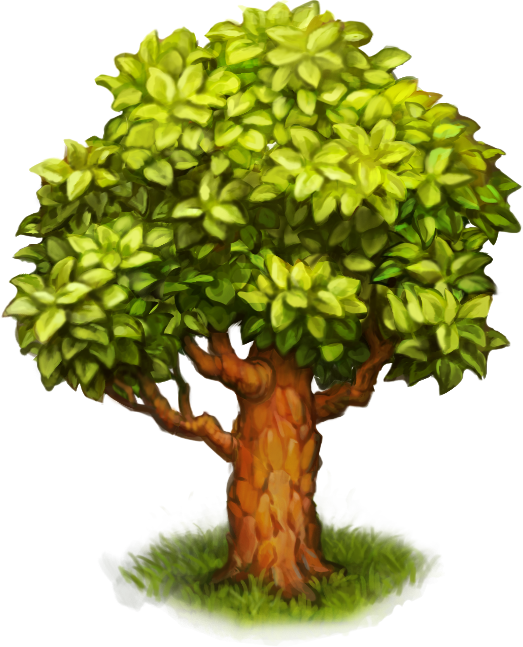 You can get an Achievement for various things, from cutting some trees to upgrading buildings. Where I can find my Achievements? All your Achievements are carefully recorded by Kaya. If you tap her tent in the clearing, the Achievements window will appear, where you can check your progress on each Achievement and get a reward for already completed ones. Do my Achievements have any influence on my Google account? The most interesting achievments will appear in your Google account and give you some experience points for your profile. How can I move objects on location? If you tap and hold an object, a special pointer with fulfillment marks will appear above it. When the pointer is filled, you'll enter the moving mode. What can I do with an object in moving mode? When in the moving mode, you can rotate an object by using arrows or move it. To move an object tap the space on the clearing where you are going to place it or move the object itself with your finger. I've moved object, but then I changed my mind. Can I cancel my changes? To cancel moving or rotation, tap the button with a cross while still in the moving mode. Can I move paths or fences? Unfortunately, you can't move paths or fences, you can only delete them. That's why you should be careful when confirming placement of these on a location. Can I delete, sell or move away some objects from my location? You can't remove or delete objects from the location. Paths and fences are the only exception. I can't see one object because of the another. What should I do? On the right side of the screen you can find a button for hiding buildings. By tapping on it you can hide all your buildings and only their bases will be visible, so you can see how much space they are taking up. You can also enter the moving mode when in building hide mode. Why do I need to unlock new territories? You can unlock new territories by expanding your settlement. 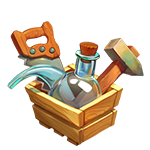 Also you can find some interesting objects there: for example, chests with rewards or abandoned houses. How do I unlock a new territory? To unlock a new territory just tap on it and confirm unlocking in pop-up window. I don’t have enough resources for unlocking a new territory. What should I do? To unlock new territories you'll need special resources. If you don't have enough you can start sending Airships with cargo. You'll get those special resources as a reward for sending a fully loaded Airship. 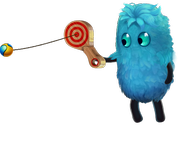 You can also get special resources for sending shmoos camping at the Camp. I can't unlock a new territory and keep getting this "You need to make the path" message. 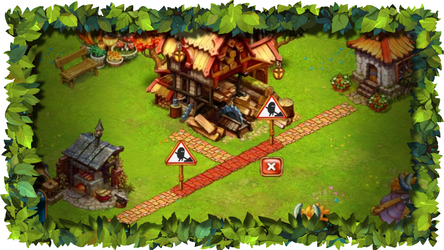 You can only ounlock territories that are connected with your settlement, or Shmoos won't be able to get there! I can't unlock a new territory for a different reason. What does this mean? 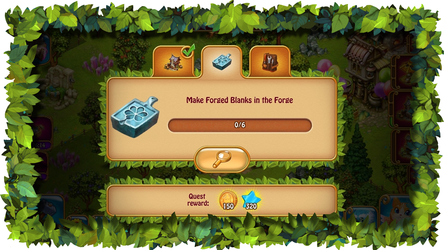 For unlocking some special territories you'll need to complete a quest or to reach certain level. 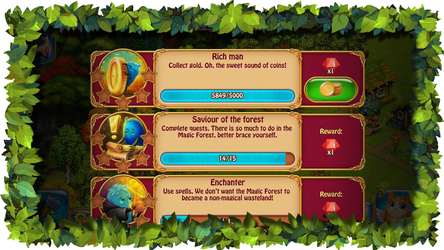 Move along our storyline and you'll definitely know all secrets of the Magic Forest. Trees, rocks and weeds keep appearing on my territory. Is it supposed to be this way? Life is an endless cycle. When one tree is chopped down — another rises. It has always been like that, from the birth of the very first Shmoo. 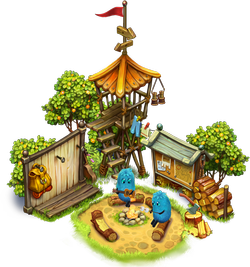 The Camp is a special building that unlocks when you reach level 11. The Camp allows you to send Shmoos camping. 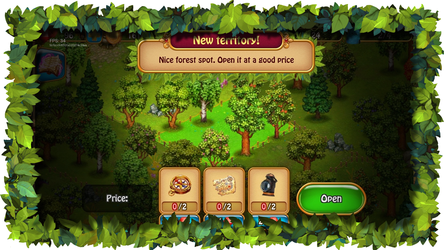 You'll get Gold and special resources to unlock new territories when they come back. How do I unlock this Camp? The Camp is located in the forest. 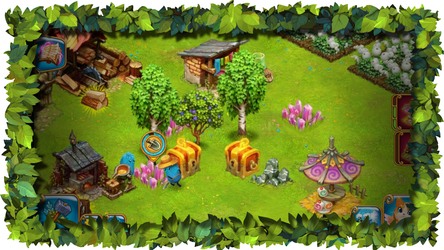 To find it and start sending Shmoos camping you'll need to open a path there by buying new territories. How do I rebuild the Camp? 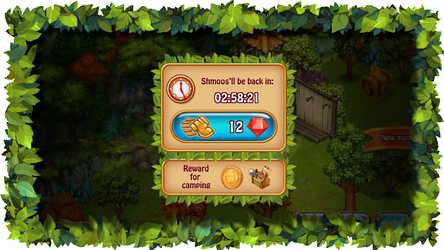 To rebuild the Camp you'll need to complete quests from Shmoos for unlocking and rebuilding the Camp and also to collect materials that may be needed for this rebuilding. How can I load up a backpack in the Camp? 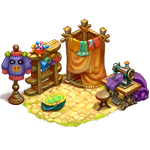 To load a backpack in the Camp you'll need to gather the required amount of materials and tap on the backpack in the Camp window. 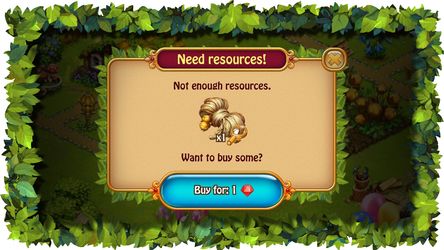 If you don't have enough resources you can always buy some for Rubies. I've already loaded up backpacks in the Camp but then I changed my mind. Can I undo this? Unfortunately, materials already loaded into the Camp can't be taken back. Do I get something for loading up one backpack? You'll randomly get Gold or special resource for loading a backpack in the Camp. You'll always get at least one special resource from every camping trip. I've loaded up a backpack and Shmoo came to the Camp, but then nothing happened. When a backpack is loaded, a Shmoo is "reserved" for camping. He just sits there and waits for the others to come. How can I call back my Shmoos from the Camp? I've changed my mind about camping. Unfortunately, you can't assign Shmoos from the Camp to do other stuff before you load up all their backpacks. I've loaded up all backpacks but didn't get a reward. You'll get your reward for loading up backpacks when Shmoos are back from camping. 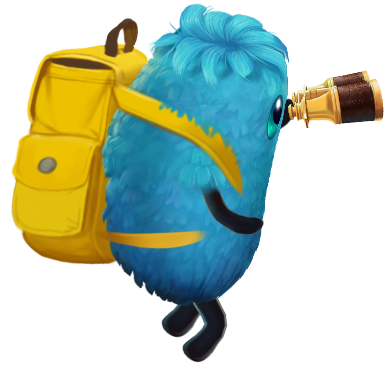 When all backpacks are loaded, Shmoos take it and go out to explore locked territories. Camping takes 3 hours. After that they will be back in the Camp with a reward. I want to speed up this camping. You can always speed up camping Shmoos. To do so you need to tap the Camp building and then tap the speed up button in the pop-up window. 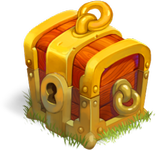 A Chest is an object that appears on the clearing. You'll get a reward if you open it. When do these Chests appear? 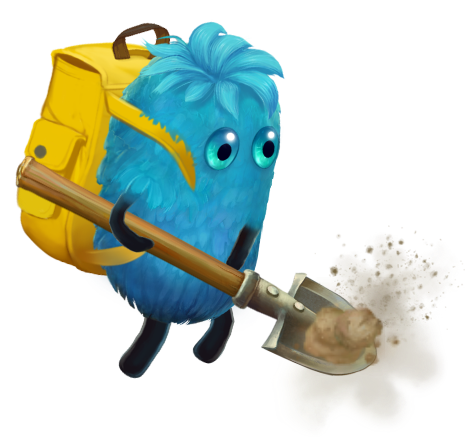 A Chest will appear when Shmoos are cleaning the clearing and getting rid of trees, stones, mushrooms or clay hills. After that you can see Chests appearing instead of some of these things. How do I open a Chest? Of course, all Chests are tightly locked. So to open one you'll need to find special magic Key. Where can I get a Chest's Key? You can get Keys at the Market for completing special quests or Cat's special orders. What do I get from opening a Chest? 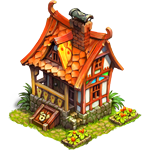 You can find some special resources for buildings upgrade or for unlocking new territories if you open a Chest. I don't want to open a Chest. How do I move it from my clearing? 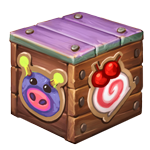 Unfortunately, Chests are too heavy for Shmoos to just pick them up and move away. Chests disappear only after fulfilling their purpose, which is giving you a nice reward!